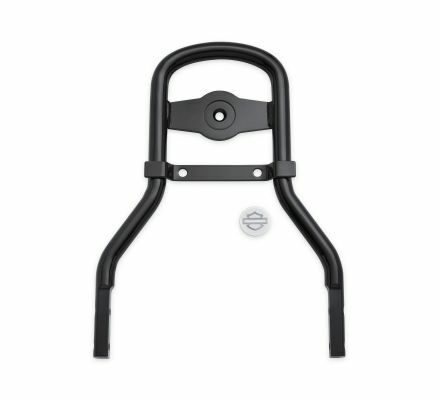 Give your passenger additional back support with a Mini Medallion Sissy Bar Upright, designed to accept a wide variety of Backrest Pads. 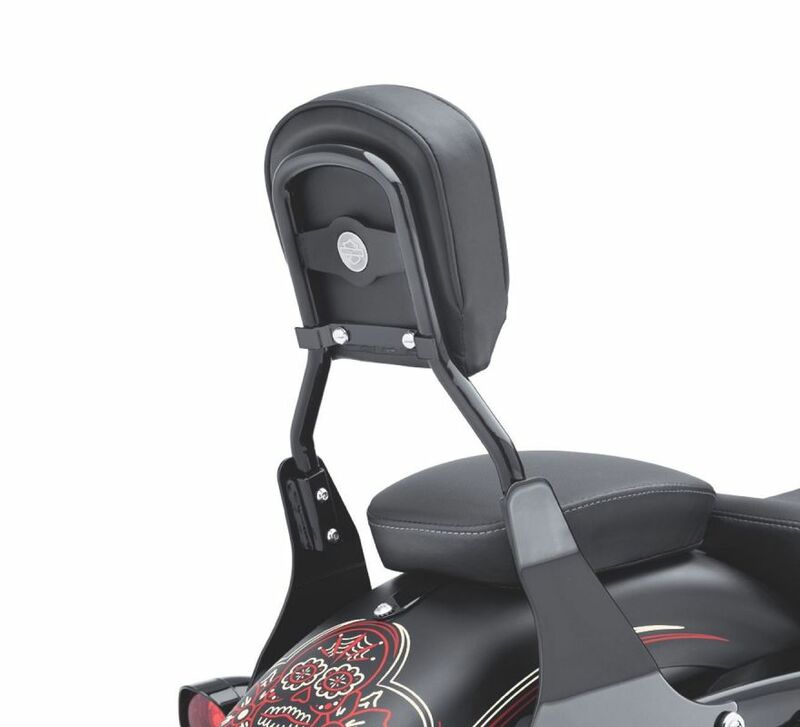 When combined with your choice of fixed or detachable sideplates, this upright forms a complete passenger backrest system. 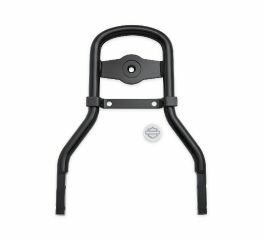 Fits '04-later XL models with H-D® Detachables™ sideplates, '06-'17 Dyna® models (except FXDF, FXDFSE and '10-'17 FXDWG), '84-'05 Softail® (except FXSTD) and '06-'17 FL Softail® (except '07-'17 FLS, FLSS, FLSTF, FLSTFB, FLSTFBS, FLSTSE and FLSTSB and '06 FLSTFSE) with appropriate sideplates. 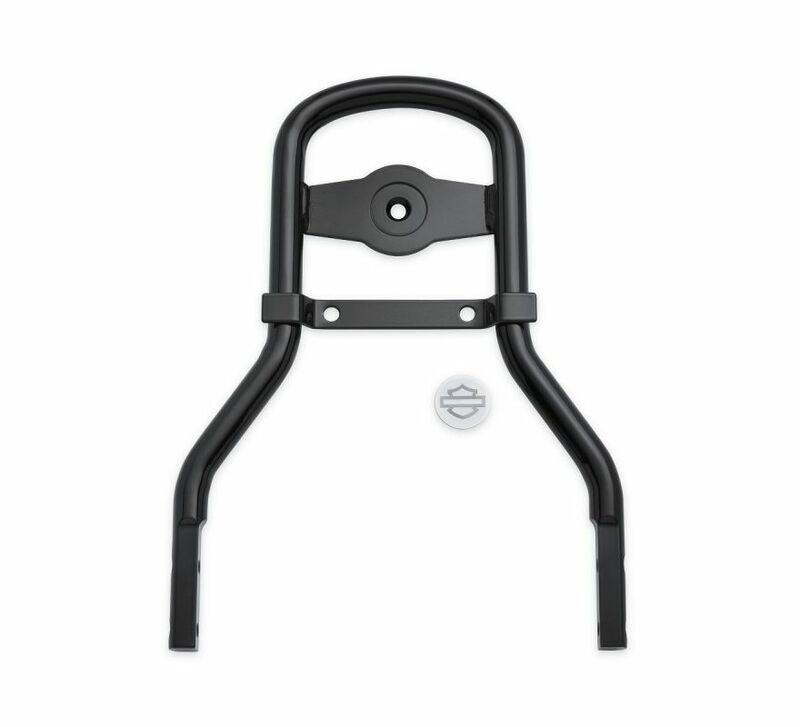 Does not fit with Five Bar Sport Luggage Racks P/N 53862-00 and 53939-03.